In my spare time I write C64 software. If you would like to donate to help future projects then you can use the donate button below. One of my projects was to convert the arcade classic Berzerk. There is also Music Studio 2, a PC cross-platform editor for SID music. 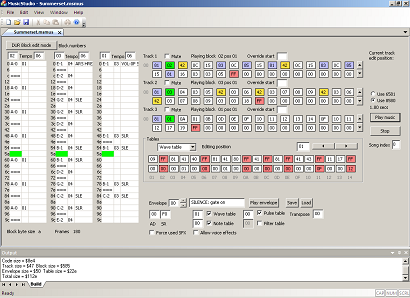 Music Studio 2.1.0.7 binary release. Depending on the the software already installed you may need to download VC2008 SP1 libraries from Microsoft. All C64 related sources including Berzerk Redux and Music Studio.